Oct. 5-8: INTERNET FESTIVAL. 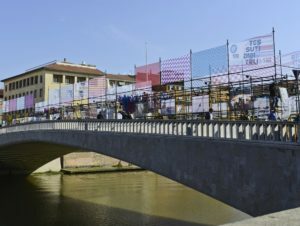 Pisa’s Internet Festival (IF) is back with a seventh edition focusing on cutting-edge technology with a general overarching theme, “Forms of the Future” that delineates what the next big breakthrough will look like. There are 19 topics examined, including “Economy X.0,” which concerns technology used to analyze economic structures and future economic trends in Italy. Another intriguing area of interest of this edition is ”Visions,” which primarily deals with the technology involved in the cinema of the future. Each of these subcategories is delegated to specific speakers at different times throughout each day. There are a total of nine festival venues in close proximity to one another, including: Cinema Teatro Lux (Piazza Santa Caterina), Chambers of Commerce (Piazza Vittorio Emanuele II), Teatro Verdi (Via Palestro, 40) and Teatro Sant’Andrea (Via del Cuore). There is also a program called T-Tours (Tutorial Tours) designed for all ages. Some interesting ventures are a Lego City Lab on October 5-6, Digital Design, which focuses on consumer electronics (October 5), and the Cacao Experience, delving into the production of chocolate, on October 8. This segment takes a first-hand look into how video games are developed and the intensive labor that goes into creating them. Guests will have the opportunity to produce and play games suitable for kids and adults alike. One venue in particular, the IF Game Jam (Oct. 6 – 8), is essentially a hackathon or a timed competition to brainstorm an idea and choose the appropriate software. Over the course of 40 hours, participants — comprising designers and coders — have the hands-on opportunity to create their own video game. With the assistance of adults, the Kids Game Jam (Oct. 8) features a similar process of inventing games from concept and turning it into reality. This section also features an ode to the LGBQT community; the Pride Run game (Oct. 6), the first interactive gay pride video game, which is currently still in development. The revolutionary game features a virtual pride run all over the world including cities such as San Francisco and also Pisa which happens to be the location of Italy’s first gay pride movement. One of the most interesting segments of the Internet Festival is on “Fake News” (Oct. 7). The phrase, popularized by Donald Trump, illustrates the growing phenomenon of consciously producing unverified or incorrect information in news and media. Several notable speakers are scheduled, including famed rumor mitigator Paul Attivissimo and former White House strategic communications advisor Graham Brookie. Attivisimo is the creator of the notable radio station and blog, “The Disinformation,” a news network that is aired in Switzerland and is known for debunking fake news and misinformation. 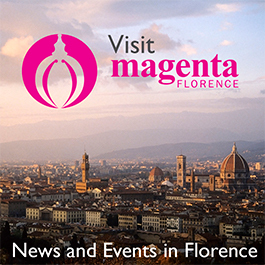 Another area of the festival is dedicated to one of Italy’s main source of revenue; tourism (Oct. 6-7). One of the features of tourism that will be elaborated upon is making tourism hot spots in Italy more accessible for the physically disabled. The second focus of this section involves a depth look at the importance of creatively communicating Italy’s culture and food.